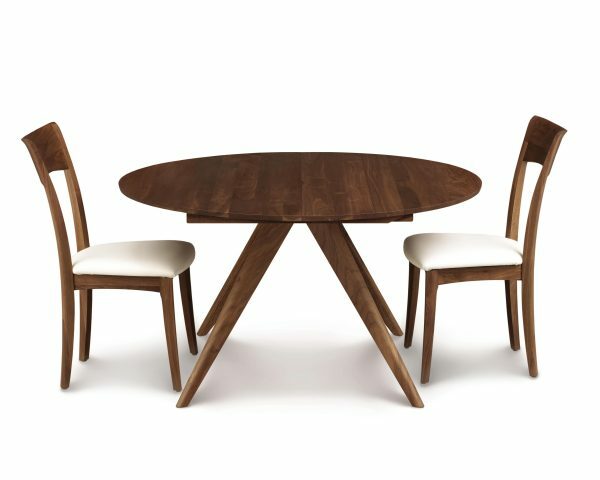 Catalina round extension tables are available and a number of different sizes perfect for any dining room configuration. 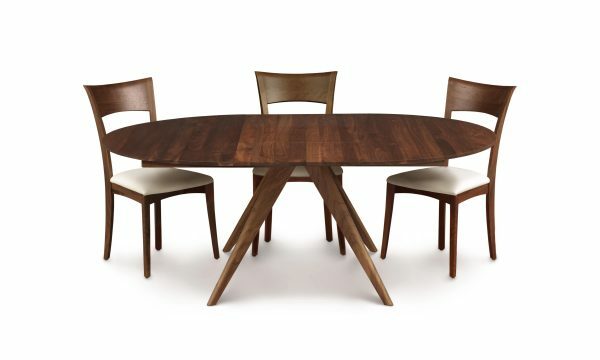 Extension tables incorporate precision bearing glides and a self-storing butterfly leaf for effortless action. The Catalina round dining table is crafted in solid American walnut. Walnut dining items are finished with a low sheen (10 sheen) top coat. The finish is GREENGUARD Certified for low chemical emissions.